Yosuke Yamane, President of Panasonic's Imaging Network Business Division. 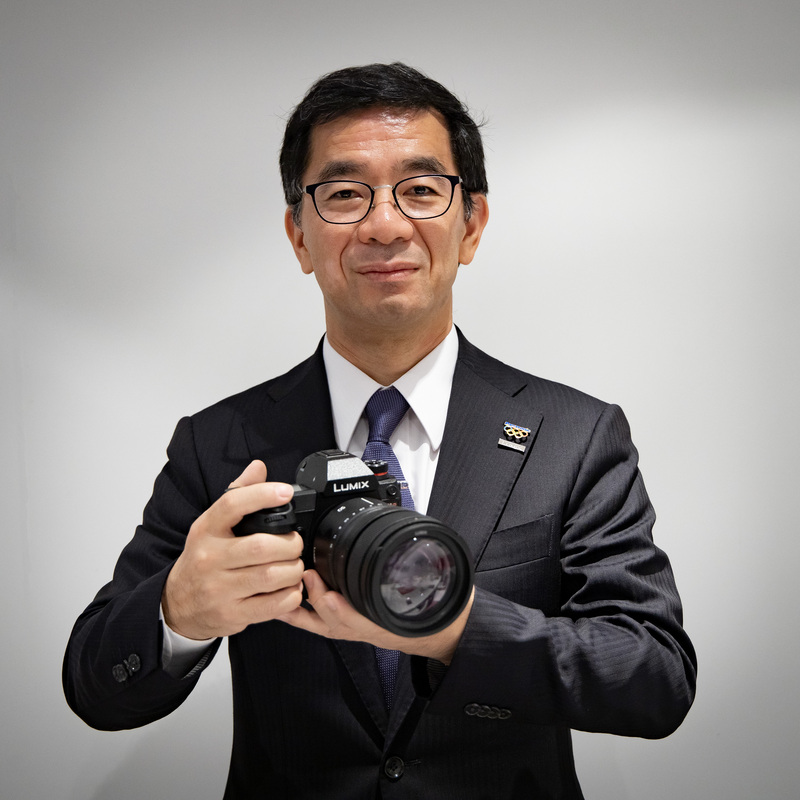 With the official launch of Panasonic's new full-frame S1 and S1R getting close, we're looking back to Photokina 2018, where we sat down with Yosuke Yamane, President of Panasonic's Imaging Network Business Division. In our interview, Mr. Yamane discusses his hopes for the future, why Panasonic decided to go full-frame, and the challenges facing his industry. Why did Panasonic make the decision to move into full-frame? Five years ago, full-frame mirrorless cameras entered the market, and the trend [since then] has been moving towards full-frame mirrorless cameras. But at that time, we were not ready. Both in terms of technology, and also service and support, and so on. But now the time has come when our technology is ready to go. As you know, since we joined the camera business, we have introduced several worlds first technologies. [Full-frame] is a new challenge for us as an innovator. We believe that we can provide value in the full-frame camera market. You've said that the ’S’ stands for specialized - what are these cameras specialized for? They’re specialized for professionals. That is a core target for us but we’re also targeting high-end amateurs and enthusiasts. What is your strategy for attracting professionals? Everything without compromise. Image quality, build quality, operability and performance. It takes all of our effort. As for image quality, we’re using newly developed 47 and 24MP full-frame sensors, and also a new processing engine, plus a high-quality lens lineup. And 4K 60p video. Fast, and very accurate autofocus, which is a combination of high-speed contrast detection autofocus and DFD technology. And this also includes deep learning Ai. Plus dual image stabilization and a high-precision, high-speed shutter. Also a very high resolution viewfinder - the highest-precision finder in the industry. Dual card slots, SD and XQD, which is essential for professionals, and a 3-axis tilting LCD. Operability without compromise. Our designers ran a lot of simulations and made a lot of prototypes of the grip, for example, to fit the needs of professional photographers. Also optimal button layout, for intuitive controls. 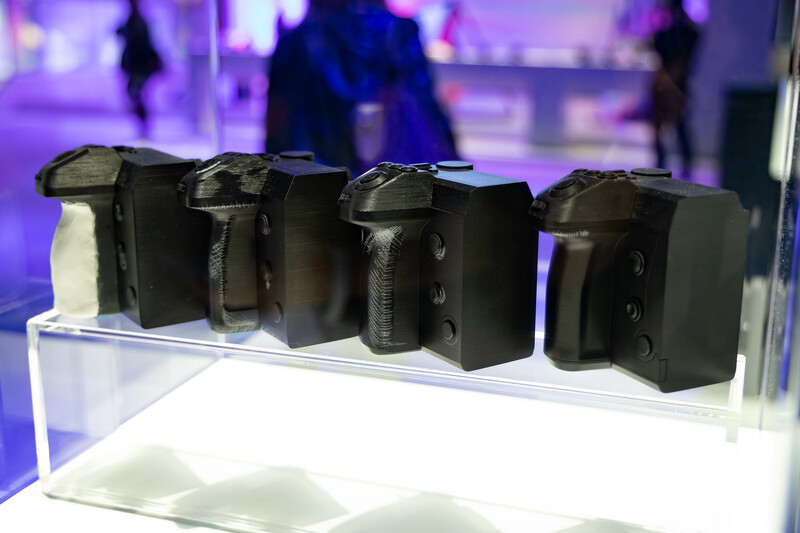 Four mockups of the S1/R's grip, which went through several rounds of refinement based on feedback from professional photographers. Is there a technical reason for the unusually large body size of the S1 and S1R? DSLRs incorporate mirror boxes, but we have double card slots, an in-body stabilization system and high-quality movie features. So the body obviously gets bigger because of those features. We didn’t want to compromise on features for the sake of body size. Maybe some customers think that mirrorless cameras should be small, but we think that as a professional tool, this body size is appropriate. We have made this camera with our Lumix ambassadors. We got a lot of feedback from them and most of the professionals don’t feel that [these cameras are] ‘big’. They feel that they are a very appropriate size. The advice from professionals is that they place more importance on performance, not size. For example the shutter. Most competitive cameras are guaranteed to 200,000 actuations. Our camera will be tested for more. That’s the kind of thing that we prioritize, for professional use. Is it your intention that the S1 and S1R will be the most durable cameras on the market, when they’re released? Yes. We are targeting the very highest level of durability in the industry. [The S1/R] are entirely sealed to be dust and splash resistant, and operate in very low temperatures - even exceeding the limits of the GH5. The GH5 actually went to the South Pole in minus 40 degrees C, and worked perfectly. Such kinds of ‘no compromise’ features are all incorporated [in the S1/R]. There are a lot of photographers taking landscapes, sports, and nature, and we're gathering feedback from all of them. The cameras need to work in all kinds of conditions from very warm to very cold. So we focus on all of the requests from consumers with the intention of making [these cameras] without any compromise. 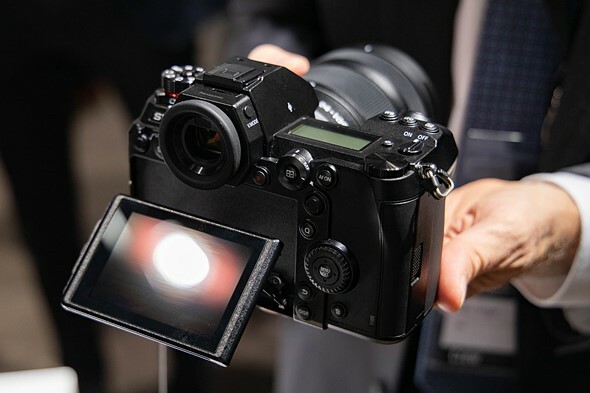 Panasonic claims that the S1 and S1R will offer the highest standard of durability in the industry, while offering professional-oriented feature sets and a very DSLR-like handling experience. Do you think that over time, your L mount lineup will grow to include entry-level products, or do you see it purely as a high-end system? The first generation will be specialized for professionals but in the future, of course we’re also aiming to attract entry-level users. In that eventually, we’ll study the question of performance versus size. But our image to professional users is very important. That’s why we’re attacking this segment [initially]. What is the strategic value of the L mount alliance, to Panasonic? We’ve had a good relationship with Leica for a long time - 17 years. Four years ago we renewed our contract. That contract included a technical collaboration, with our digital technology and their optical technology. There will be a convergence. In that contract we discussed a lot of things relating to the shared mount. Sigma produces very reliable high quality lenses, [and we knew that] in order to get into the new business, we needed a lineup of lenses. So we decided to collaborate with Sigma to make a big impact. I have a good relationship with Mr Yamaki, CEO of Sigma, I trust him and I respect his aggressiveness towards the market. This collaboration provides a lot of value for us, entering into a new market and becoming competitive in full-frame. Considering value for customers, we decided that it was better to collaborate, than to create our own standalone mount. This way we can provide lots of choices for lenses, and Sigma already has a large fanbase. Obviously Leica with its 100 year history also has a good base of users. The Leica L mount lineup includes APS-C products as well as full-frame. Is Panasonic interested in APS-C? No. We have our own Micro Four Thirds system and we think that [because of the greater difference in size between full-frame and M43] this is the best balance. We have no plans to develop APS-C products. Is designing lenses for full-frame easier or more difficult than designing for Micro Four Thirds? It’s more difficult. In the case of M43, we prioritize compactness. But in full-frame we set higher targets, to meet professional specifications. This camera [the S1R] incorporates a 47MP sensor, but to be futureproof, lenses should be capable of resolving more resolution than that. So we set very high specification targets for our full-frame lenses. We will develop our lenses without compromise. Other important factors are build-quality, and bokeh. These are both very important when it comes to creating photographs. Do you think Panasonic’s L-mount lineup could evolve in future to include products like the GH5S, which are optimized for video? One of our assets is our experience of professional video, over more than 40 years. This is one of the areas where we contribute to the market, so in the future it’s possible that [our L-mount lineup] will expand to include such products. But even the S1 has very good video capabilities. We cannot disclose the exact specification beyond saying that it will be capable of 4K/60p video but you can expect more. Even the S1 will be used, we believe, by professional videographers. The 24MP and 47MP sensors inside the S1 and S1R will be capable of high-quality 4K video capture as well as stills shooting. The sensors inside the S1 and S1R are described as ‘newly developed’. Are they fabricated by Panasonic? We cannot disclose that. I would love to tell you but I can’t - you’ll just have to imagine! Obviously we have sensor-manufacturing experience, but I can’t disclose anything. Even if we outsourced [sensor fabrication] the design would still be to our specifications. Picture quality is not only determined by the sensor. There’s also lens design, and processing technology. Can you explain how Panasonic and Leica work together in terms of lens design? Mainly, optical technologies and manufacturing technologies come from Leica. We provide our digital technology and interface technology to them. For the full-frame lenses, we designed them by ourselves, but the DNA of Leica is incorporated - of course. Is there any Panasonic DNA in Leica products? I don’t know if they would admit that, but we do provide it! All of the Leica-branded lenses for our Micro Four Thirds system are checked according to Leica’s standards, and we have learned a lot through that process. What are the biggest challenges facing Panasonic? As you know, in the camera industry we don’t have a large market share compared to the likes of Canon and Nikon. They have much more history compared to ours - we've only been in the industry for 17 years. Our brand recognition is also not so high. However, a paradigm change has finally arrived. Canon and Nikon are creating new mirrorless systems, and we’re entering a new world thanks to the L mount alliance. This is a new start for the camera industry. Our slogan is 'changing photography'. We want to create a new photo culture for the digital generation. In the full-frame world, I think that customers will appreciate our contribution. Rather than competing with Canon and Nikon we’re focused on conveying that message to the customer. When it comes to product planning, we have to anticipate how customers behavior will change in the future. These models [the S1 and S1R] are focused on professionals. We have to anticipate how professional photography and videography will change, and we’re constantly looking at those trends, and anticipating how professional behavior will change. And as professionals change, customers at the entry and mid-levels will change, too. We have to watch this very carefully, and we always plan our products in line with changing customer trends. What do you think are the biggest opportunities for Panasonic? The Olympic Games in 2020 will be a very big opportunity to showcase Panasonic’s technologies. I was born in 1964, which was the year of the last Tokyo Olympics. We will use the 2020 games as an opportunity to enhance our video technologies and photo technologies. After the Olympics, we will create a new generation of 8K video cameras, which are currently in development. Panasonic is one of the most interesting companies in the photo industry. Although it enjoys only a modest share of the market compared to 'giants' like Canon and Nikon, Panasonic has consistently surprised us with its energy and innovation - particularly in the high-end video/stills space. Arguably, Panasonic is the only company that could have created the powerful GH5, and it's hard to imagine another company having the confidence to make the even more narrowly-specialized GH5S. When it comes to high-end video capture in mirrorless cameras, Panasonic has been (along with Sony) a driving force in the industry, and that's thanks to the company's long experience in the video realm. 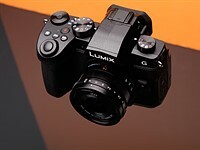 While Lumix as a brand is less than 20 years old, Panasonic has been involved in video, in some way or another, for more than twice that long. The fact that Panasonic's forthcoming S1 and S1R mirrorless ILCs will both offer powerful 4K video feature sets is not a surprise. What's interesting is that they're built around full-frame sensors. 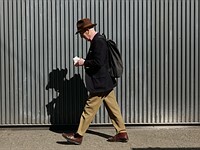 I'm inclined to think that moving into full-frame is a good decision for Panasonic, but it's risky. I agree with Mr. Yamate that moving forward in partnership with Leica and Sigma will add more value to the market for enthusiast and professional photographers than creating yet another new lens mount, while also mitigating the potential risks of going it alone. While there are plenty of full-frame mirrorless systems available in late 2018, there is a conspicuous gap in the market when it comes to full-frame video systems. It is doubtful whether Nikon will try (or even feel the need to try) to create a video-oriented ILC in the near future, and Sony seems to have (probably only temporarily) paused the development of its a7S lineup. Panasonic, with its decades of experience making video cameras, must be keen to put a product into that gap. 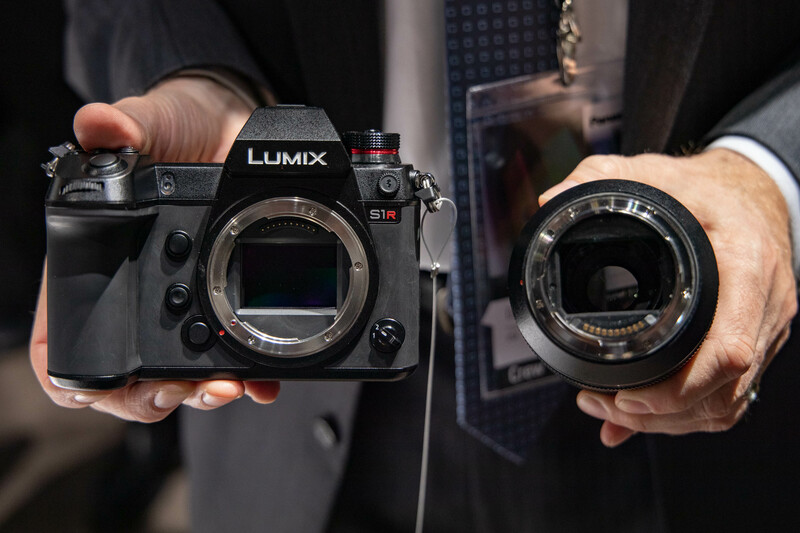 If the company's intention is to lead the way in full frame video, similar to what it did with the GH series for Micro Four Thirds, it has the potential to disrupt the full frame market more than its current industry share might suggest. Joining the L-mount alliance is a great first step. But that's the future. For now, Mr. Yamane's company is dedicated to making the S1 and S1R as attractive as possible to professional photographers. Nice interview. Guess that if I want to go FF I can best choose Nikon Z-Mount. The Panasonic L-Mount attracts me more but if it's prime objective is professional than that won't be good for a consumer price perspective. I have commented on this before, but I would like to see the second card slot go with SD-Express, SD Ultra Capacity. Hope it's not to late. My guess is its too late, alas..
"...They’re specialized for professionals. That is a core target for us but we’re also targeting high-end amateurs and enthusiasts...."
Translation: "We're following the new consumer tech road to success: label the product "pro", and the more-money-than-sense subgroup of amateurs open up their pockets. Otherwise they are stingy. "....The sensors inside the S1 and S1R are described as ‘newly developed’. Are they fabricated by Panasonic? We cannot disclose that. I would love to tell you but I can’t - you’ll just have to imagine! Obviously we have sensor-manufacturing experience, but I can’t disclose anything. Even if we outsourced [sensor fabrication] the design would still be to our specifications. Picture quality is not only determined by the sensor. There’s also lens design, and processing technology..."
Translation: "No, of course Sony manufactured it." Since the 1960s, I have purchased many Panasonic products, (audio/video, broadcast editing machines, field acquisition decks, 3 tube/ 3 chip high end industrial cameras, telephones, early mirrorless cameras, etc.) and I can say what keeps me coming back, is Panasonic's reliability/ quality. I usually do not wear the equipment out, it just becomes obsolete. This new Full Frame 4k S1 Camera with Cinema capability could really be a useful tool to the industry. I am looking forward to it's introduction. They are all limited by the use case and the use case changes faster than the durability of the devices would allow. Sold my 5D II for ⅓ of the punching price after eight years of using it without a single scratch and this camera has been used on the bigger part of the norther hemisphere - almost everywhere with 120 k images taken in those eight years. the camera was in pristine condition except a minor small scratch on the rear display. BTW - the progress of (useful) innovation at some brands is so high that the extension of use cases almost faces to buy new bodies. I'd have loved to see canon to innovate that fast in the past. You just happened to mention a brand that I also have a high regard for, in the reliability department. I can assure you that not all brands are created equal, in my experience. Satisfaction is money well spent on a product that delivers back, without repair bills. 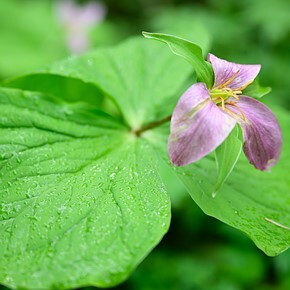 I just want Panasonic to offer a one-touch "all-in-focus" button for landscapes (focus-stacking). They already have the tech (as on my G85), it is just way too clunky to use at this point. Panasonic as industry quality standard setter? Really? Did you solve problems with shutter speed or you prepare next surprise for customers? Yes, Panasonic has been known for quality since the company was founded. Everything from microwaves to battieres. You’d find very few people who disagree with this. The company is 100 years old and you’re looking at one issue with one late model camera—that may even be resolveable with a firmware update. I need to know that which camera will be perfect for natural or commercial photography? Thanks for this post. According to the President there is a good balance between full frame and m4/3? Not true! The difference in sizes is huge - full frame is larger by a factor of 3.85 than m4/3. Anybody who does not care about FF for various reasons may well go for the next large sensor APS-C., in this case, FF being larger by 2.35. It appears, lack of APS-C at Panasonic may well become serious for the Company. What if m4/3 loses out in the market? You're not the sharpest tool in the box. Its a better duality than apsc and 35mm. Panasonic will do 35mm properly and you will see how large the system is when it is optimised to its full potential. Likewise we have m43 the perfect balanced digital system. Take your pick for your scenario. This is an interesting combo. I've used Lumix in the past and their video capabilities are stunning. Though I'm not a fan of Sigma lenses, Leica on my Huawei Mate 20 Pro is amazing. 1) "Extra durability"??!! I would not pay any premium for extra durability on top of the Nikon D800 durability of 5+ years and 78.000 shutter actuations without a hitch from minus 15 centigrade to plus 40 degrees centigrade. 2) Lenses. Panasonic claims lenses with significantly larger resolving power than 47 Mpix. Sounds like it will be difficult to convince my wife why this would be a requirement. I am not a P-basher. I bought the Panasonic FZ1000 and it has wonderful 4K video and great 1" chip photo quality in adequate, outdoors light up to A4 prints. As does the Sony RX100-II. The camera looks like Sony A-Mount a900 and a99 had a baby. Rear layout is A-Mount familiar. They even moved the front control dial to the front side of shutter release, just like A-Mount. I wonder which direction the lens focus ring will turn... Leica, Canon, Sony, Olympus direction... Or Panasonic, Nikon, Pentax, Fuji direction...? A clever monkey would allow user to program lens to custom focus direction, and linear throw. The ring pretty much has to move in the same direction as Leica, right? Custom lens focus direction? I can do that on my six-year-old Olympus EM-1 along with dozens of other custom options. At this point, custom lens focus direction is old hat. Big does not automatically mean professional IMHO. That's determined by terms like reliability, or a worldwide service network with fast turnaround times. Nikon made the step from normal to big aka pseudo "professional" by going from the F3 to the F4/F5. Happily they changed their mind with the new small sized z6/z7. If somebody thinks he needs a bigger body he can always add a motor or today battery pack. But you cannot do it the other way around and make your camera body smaller. The best camera is the one you have with you, and not the one that's at home in your closet because it's too big and heavy. 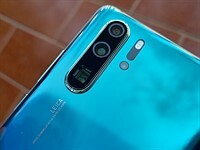 I can't imagine that they will be able to deliver a version one camera that is equal or better than the competition in every important area. So I think the only chance of success is having inexpensive lens mount adapters, which will make it easy and inexpensive to use lenses from at least Canon and Nikon. Then you can buy only the body. Switching camera/lens/flash all to a new brand seems like an enormous jump for serious photographers to take. Sigma have promised just such an adaptor and I believe someone else already makes one. I actually already use EF lenses on my L mount camera via an M mount adaptor but it's manual focus only and aperture adjustment is not realistic, so it's just a gimmick for me. Ummm... they deliver generation 6 mirrorless already. It’s just a bigger imaging area. Nothing more; nothing less. It’s the glass that counts more than anything else, and how Panasonic transitions from little glass to bigger glass. I expect them to do well in that respect. 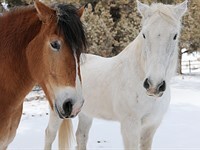 The key for selling professional products - nothing is so important then professional service! Sony at least gives me a professional insurance for every kind of damage - that's a word. The first paragraph of the interview: "Five years ago, full-frame mirrorless cameras entered the market, and the trend [since then] has been moving towards full-frame mirrorless cameras. But at that time, we were not ready. Both in terms of technology, and also service and support, and so on. But now the time has come when our technology is ready to go." How about a four weeks up to 3 months test, under these conditions? And into comparsion -how a EOS-R, 5D IV, and D850, A7/R III, and Z6/Z7 Series would handle - under these heavy negative temperatures. And testing weather sealing, of course also. No offense - but the Sony guys would then being out earlier than the others, i'd think...as Roger Cicala and others showed the weather sealing from Sony. "Fast, and very accurate autofocus, which is a combination of high-speed contrast detection autofocus and DFD technology". Very sad to read this as its not going to be any good for video. Canon and Sony have shown how reliable autofocus can be with PDAF, and Panasonic need to face up to that quickly. I recommend you to update your information about DFD capabilities for video, as it is beating Canon terrible Dual-Pixel AF. Want a great AF for video? It is Fuji... Then Sony and Panasonic. Canon and Nikon are behind. It’s all just marketing speak, take it with a large grain of salt. This kind of hype always falls short of expectations. These cameras will come back down to earth once they’re reviewed honestly. Tommi F1, what drugs are you taking?! Panasonic has by far the worst video auto focus, to say canons dual pixel is worse is laugh out loud stupid. Panasonic durability isn’t great either, my G7 was made like a cheap toy and it lasted like a cheap toy. Sensible decisions all-round. Plenty of M43 options if you want a compact camera... and if you need full-frame then you're obviously high-end - so take the big camera size on the chin. So they discontinued the GM series and the premium M4/3 bodies from Panasonic are the G9 and GH5? Just curious - or is it the GX9 which is the new “serious compact camera”? I hope the gentleman in the photo has small hands as the Panny full frame looks even bigger than my Leica SL and that is a lump and a half. I will be very interested however in their 70-200 lens, as it seems it will be considerably smaller and lighter than Leica's RPG7 sized 90-280. I sold that lens as it was just too much for me to carry around and as a result, just sat on a shelf. As a Canon user, I'm more intrigue to switching to Panasonic than Sony. Panasonic camera are like the marriage of Canon & Sony - intangibles such as ergonomic, menu, weather sealing and tech features (dual IS, highest EVF in the industry, etc). I hope they can give us eyeAF and a great sensor. I'm looking forward to the launch of this Panasonic FF system. It's going to be tough to garner new clients given the well established marques out there but Panasonic have always striven for innovation. I'm excited by that prospect and their commitment to quality. There has been some mention here about poor support for past products and that is not good. I reckon Panasonic know that they will need to do better in order to compete with the big boys. If not then they will fail but I'm optimistic. It's good news to have a real innovative presence on the photography industry scene. we definitely need that when we need to repair some plumbing. 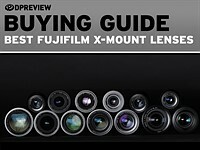 Question: Does anybody know the turning direction of the new Panasonic FF lenses? I know many do not care but given Panasonic's pro video history and the video focus of their lineup, I do not understand why they chose the "reverse" direction for their company lenses. As a video professional I will never buy one of their lenses due to my muscle memory when using other cameras. It is not enough to be able to program the focus wheel direction. Unless they can make the zoom bi-directional. Very true. Given the fact that pro LUMIX cameras are largely designed as photo/video hybrid cameras, their lenses should focus in cine directions. I would imagine that you'd be able to customize the ring direction. Thanks for your input Barney. When you say ring I assume you mean focus ring? Have you ever seen a zoom direction be changeable? Any idea why Panasonic chose this direction? The ability to customise focus ring direction is a big advantage when switching systems. It's easy to implement with "focus-by-wire", although I don't know of any brand that actually has this feature currently. For us cinematographers and videographers, I wrote an OPEN LETTER to Panasonic to highlight the needs for a reinvented focus control system for professional. I think focus control in video is a big hurdle and is long overdue for some innovation, and I think LUMIX-S is the perfect opportunity for Panasonic to tackle it. If you are a video shooter, please share what you think on this issue. If more people talk about this and start thinking about the possibilities, I hope Panasonic will start to take professional focus control seriously. I was doing a job yesterday and if I’dhad hard stops and an LCD screen that I could actually see in daylight life would have been so much easier. @ Jack Lam Wonderful open letter to Panasonic. Highly informative and impassioned. Thank you for sharing the link. thank you. I spent a long time to write and rewrite this open letter because it is something I care about. When you come to think of it, today's prosumer cameras like Sony A7Sii and GH5 have surpassed the capabilities of many older pro video cameras in terms of picture quality. But precision focus control is one of the few remaining technical barriers that still separates prosumer gears from professional ones. I hope this will change soon. Without lower prices and fast free warranty repair INCLUDED then it all means NOTHING. Because otherwise there's little incentive to make a durable product. In fact; it's motive to not. Why? Because they are over priced disposables. In other words; the way it's supposed to work is they(any maker) can bend over backwards and even give you a brand new replacement; BECAUSE it never hardly happens. Then and only then can there be bragging. I still have a Panasonic with failed ON/OFF switch. They required me to sign up for all manner of run around and did ABSOLUTELY NOTHING. I guess they thought I would forget. Opps. Durability is not Panasonic’s thing. Don't be tricked. Now we have Panasonic, Sony, Fuji and Nikon competing for the hybrid stills/video market that Canon have abandoned. Exciting times! Anathema to whom? To you maybe. With respect, that can be considered a mistake. Yes, to me. I shouldn’t of generalized. Still I don’t know many stills photo enthusiasts that use M43. Somehow I am more interested with FF mirrorless Panasonic than Nikon or Canon.......dual stabilization. same. Canon user. They are like the marriage of Canon & Sony. Ergonomic, menu, highest res EVF and tech (IBIS, 4K 60). Hopefully they have eyeAF and great sensor. a. Acceleration of reactions of competitors. b. A war in terms of communication in every aspect. The first is by all means positive for photography and its lovers. The second will be the best soap-opera in digital photography in which fan boys, "experts" and media will give their best. Without Panasonic targeting FF ML at the high end Nikon and Canon would be allowed to phase out their professional dslr business gracefully - that is where all their professional level lenses reside as well. By making “the best” high end professional FF ML camera bodies the end of the dslr might no longer “be nigh” it will “be here”. Especially if Nikon and Canon respond by launching their own professional level FF ML bodies which I am sure are sitting in their test laboratories right at this moment. I have always been sure that it would be Nikon and Canon that would kill off the dslr by their own actions. Everybody who comprehends technology knows from the very early days of digital photography that cameras as tools will adopt to the new data and the new capabilities emerged. DSLRs will become a very small niche and will be still produced for some time and for very specific demands. 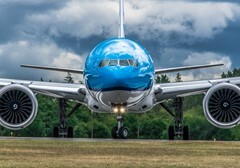 "Even if we outsourced [sensor fabrication] the design would still be to our specifications." Almost certainly true. If Panasonic had manufactured the sensors themselves they'd be shouting it from the rooftops. It does suggest that Panasonic doesn't make the sensors in-house, but Sony isn't the only company they could turn to. There are also, among others, TowerJazz and Samsung. Panasonic can't "shout it from the rooftops" because the manufacturer, TPSCo, bought all of Panasonic's sensor manufacturing assets. Panasonic are on the board of TPSCo, but that's simply not the same as manufacturing stuff yourself. That's why the company is being so coy about it. Because most, if not all, of the monitors (+phone screen in now days) are not square, plus most of the picture frames are not square too. 1. Look into the mount, you'll see an arched row of contacts sitting on a bulkhead. This design element, a fixture of all modern FF systems, immediately limits the V dimension. 2. Following design element 1, existing lenses have baffles & contacts that limit the vertical image angle. One might imagine a rotatable mount, adding lots of complexity, but still any aspect ratio < 3:2 will be compromised compared to your imagined possibilities. 3. The shutter would have to be enlarged to cover the increased V. Body height, weight, fastest sync-speed and IBIS would all be compromised. You have to convince Sony to produce a square 33 mm version of it's 44*33 mm mf sensor. 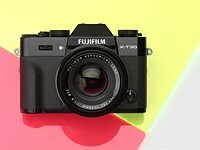 Many 35mm lenses cover the 44*33 mm sensor on the Fuji GFX. techart pro even does produce an GFX Canon AF adapter. It should be no problem to make a 33 mmm square sensor in a z7 like body. It makes IMHO more sense than building 100mp 35 mm cameras. The z7 already runs into diffraction at f8. Although, come to think of it, maybe I'd be wasting less if cropping from square to get 4:5? I'll have to run the numbers on that. I think the market for such a camera would be tiny, nowhere near enough to make it worth the investment and production costs. Just crop. Joel Halbert Sorry but with all due respect I'm not convinced ! Panasonic , Nikon and Canon were actually designing the mount from THE GROUND UP . Secondly I haven't said that such sensor would be 100% used in every orientation. The idea is that in 16:9 could go much more towards the edges of the imaging circle , just like the present sensor in LX100 , but when switched to square would go more towards the centre but still would be able to cover much more area because it would compensate by using the sensor area above and below of normal FF size. Mike FL ...Sorry but the company like Panasonic or Sony can make monitor almost in ANY shape they want ! Making it square presents absolutely no problem whatsoever ! That is actually the SMALLEST problem for them !!! zavart, yes, I have Mamiya 6 film rangefinder that I still shoot sometimes, and not having to turn the camera is such a great thing (although I sometimes turn it out of habit from using my DSLR). Sometimes I crop, sometimes I leave it square. With a square format digital mirrorless, if you could just flip a switch to see a cropped horizontal or vertical composition in the EVF, I'd be as happy as can be. There are so many possibilities with digital, why not demand what we want? You're trading a large inefficiency in sensor area usage for a very slight efficiency in not having to change the camera orientation. It's not worth the trade-off. People don't find it that inconvenient to simply turn the camera! @zavart - "The idiots were taking pictures on the moon with Hassys !" Shooting on the moon while wearing a moon suit is slightly more inconvenient than shooting on Earth. 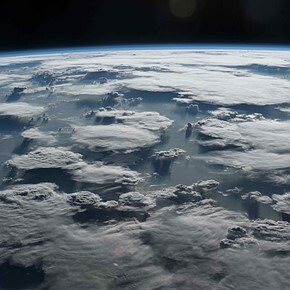 On Earth, it's not so inconvenient to change the orientation of your camera from horizontal to vertical. It's a different story if you are wearing a space suit and a full helmet while walking on the moon. @zavart - Ask yourself this: where are these 6X6 cameras now? How popular is square format now? Who is still making square format cameras? One thing you can "learn" from life is that square format hasn't been that popular, which is probably why no one has pursued it for digital cameras. Learn! @T3, Instagram started off with only square photos, and still most of them on the platform are in that format (although it take take other formats now, too). 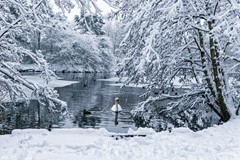 So in answer to your question, square photos are extremely popular today! Lean what's going on out in the world! Yes, even Instagram evolved beyond the restrictiveness of square format. And again, how many cameras are square format cameras these days? Can you name a single ILC that is a square format camera? T3...PS ..and one more thing ! You know imaging circle is exactly that..."a circle" ie. the distance from the top to bottom is ....Yes , You've guessed it , the same as from left to right. So suddenly this rectangular format You're so much in love with would be exactly the SAME size whether You're shooting vertical or horizontal pictures. But ,well , some people like turning cameras , even on tripods...As far as I'm concerned You might just as well turning Your camera upside down....Speaking for myself I would rather concentrate on taking photos rather than on juggling the camera. @zavart - "ferocious opposition to square format?" LOL, no, there's nothing to be "ferocious" about because no camera manufacturer is going there. It's not even remotely a possibility, so there's no point in getting riled up about square format cameras because they aren't happening. And even if it were coming, it would still be left to the judgment of the market whether it became successful or not, based on functionality, cost, design, resolution, etc. But we aren't even close to any product coming out, so it's just a silly pipe dream. T3 OH, there is one more thing! There is no such thing as "the right size or ratio" Artist have been known to use everything from 3:1 to 1:1 The only reasons why photographers were at the mercy of 35mm was because in the early days the film for photography has been adopted from the movie stock. It is true that that square has not been popular , but not because it is somehow "worse" but because most professional photographers were shooting for magazines and they most of the time don't come square. But the fact of the matter is that in those days they decided to move from square to 645 format mostly because they could pack more pictures on the roll of film . After all shooting Hassy was giving them exactly the same quality as Mamiya but they had to crop afterwards. As a matter of fact it is 35mm format which is totally inadequate now. Too "tall" for magazines and not "wide" enough for present TV ( 16:9) . As for me I like the variety, I don't want to be boxed into one format only ! @zavart - you are a man talking into the wind. Assuming the final camera looks like the one in the image, the design is certainly ... utilitarian. Personally I don't mind it - a refreshing change from the curvy blob aesthetic and takes me back to when Knight Rider was on TV. I suspect all those raised buttons will be great in use - should be really easy to find by feel, unlike those from a certain market leading camera maker, who seem to delight in having buttons almost flush with the body so you can neither find them or press them. Not convinced by the top dial being right on the shoulder like that, but all the other controls look really practical. Will look forward to getting my hands on one. Shame I'll never be able to afford it! He mentions “fast” contrast detect autofocus and DFD. Does that have a chance of competeing with the best, or even the worst, PDAF on the market right now? A “pro” camera is a camera with state of the art autofocus performance. Panasonic's CDAF with DFD is faster than PDAF when used for stills, it is also just as accurate. 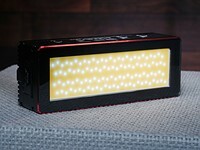 Since their recent firmware updates for their premium series of cameras, the video AF is on par with anything out there. I can't comment on DPAF, my experience is limited there, but I'm sure there is a video online somewhere. As for low light AF during video, every camera struggles. i have the G9... nope, CAF cannot match my D500. that's a smaller sensor. imagine a larger sensor with on sensor performance. i'm not expecting the Pana FF with CDAF to be any better than the G9 and expecting it to be worse. Pana has been BS about improving the C-AF for GH5 and G9, yes they have released new FW but still not there. if they can't do it for a small sensor, i doubt it. what'll happen is people will fall for the video spec and try to justify that they don't need AF etc. etc. the S1 will be the same story. another one which i hate about all those BS about how great the slow mo but nobody comments that its MF only. Pana should have taken the opportunity to jump to PDAF and develop lens around it. i like the G9 for all those nice functions, the S1 would be the same but they'll have one issue: the AF...and the flip screen. it's almost like these Japanese manufacturers intentionally leave gaps... for others to survive. Please way lower the prices being the underdog in order to get user base before putting an eye watering prices and don't repeat Sony's arrogant mistakes. After reading this interview I suspect that Panasonic's FF gear will be the most expensive FF mirrorless around (bar Leica itself, of course). So cheap and affordable and Nikon and Canon snigger all the way to the bank and the Pro-level dslr will still rule he roost for another 10 years? Cheap and affordable and the L-Mount will die a thousand deaths because ... “Panasonic” does not have “camera-heritage” written all over it. 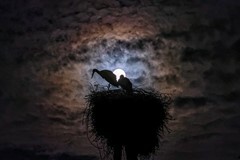 To succeed, to make the L-Mount succeed, all L-Mount product has to be the best even if it is unaffordable. 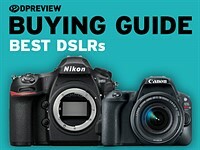 Why buy an affordable Panasonic when Nikon and Canon sell “affordable” gear into the same market segment? Once the pro-level Panasonics, Sigmas and Leicas pave the way and get a reputation as being “suitable” and acceptable to the Pro-shooters then the reflected glory will make a market for the wannabes called the “affordable versions”. No rush, I doubt if Panasonic expects to sweep the market but they do wish to have a good percentage of Pro-shooters using their cameras and L-Mount lenses. The well heeled amateurs might settle for a Pro-level Panasonic body and adapted EF mount lenses. If they want to get a share of the professional market then they are going to have to develop a good service infrastructure. I bought a Panasonic 100-400 lens which was faulty out of the box - it wouldn’t focus. I contacted Panasonic Australia. It took 6 emails and four phone calls to find out that in Australia the servicing is contracted out to a third party. Panasonic said they would pass on my details to the service provider and they would contact me. Three months later they have not. I’ve tried getting the contact details for the service agent from Panasonic and they won’t give them. To put this into context I had my Canon 6d develop a fault. I sent it in to Canon and they apologised that Christmas would delay things, but they sent it back repaired in 14 days - it arrived 2 days before Christmas. People bag Canon but I reckon you only really find out about a company when something goes wrong and how they fix it. I think Yamane is specifically acknowledging your point, that they haven't previously had the right support network. - at least not steal resources, priority and top employees to make the consumer service problems even worse! @ Joel Halbert What worries me is that Yamane doesn't see m4/3 as pro orientated so will it be included in any pro service program? I have quite a comprehensive m4/3 kit built around both Olympus and Panasonic products and I use them extensively for my work. But my backup is Canon full frame as kit can be serviced easily. At this stage I can't see myself going full frame with Panasonic as the support just isn't there and also their AF technology with DFD just won't cut it on a full frame sensor with its inherent smaller DOF. The video AF on m4/3 is barely usable and I end up using manual focus. To qualify (be allowed to participate for $199/year), you must own two of these bodies: G85, G9, GH4, GH5, GH5s plus four qualifying lenses (the Leica-branded line, the 2.8 zooms, and for some reason the 14-42 kit and the 45-175 power zoom qualify, but strangely many others including quality stalwarts like the 20/1.7 and the 7-14 do not). I would think that any of the upcoming Full-Frame bodies and lenses will qualify upon release; per the interview any non-pro-level L-mount equipment is farther in the future. Regarding your comment about shallower DOF being a problem, please see my earlier answer to Dr_Jon on that very topic - I think the opposite. I’m not so sure. I’ve read a few papers and comments from Panasonic engineers about having to use work around on long lenses at fast apertures rather than rely on the DFD. It’s to do with the flutterering of the contrast detect AF not being able to grab hold of the subject and lock the focus. 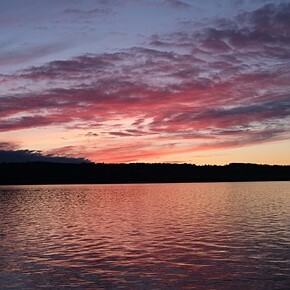 Panasonic advises that you focus at an object at a similar distance and then recompose. This does not help if the subject is moving. This becomes particularly apparent when shooting video. I suspect that there is insufficient raw processing power. Hybrid systems don’t suffer so much from this as the PDAF makes the coarse adjustments leaving the CDAF to just make fine adjustments. I keep meaning to put a blog post and video up demonstrating this but I never have the time to finish it. Paying gigs get priority. This is old now, but I also use Lumix professionally and have had many excellent experiences with the outsourced servicing service used by Panasonic in Aussie - Techworks. They've been efficient, courteous, effective and prompt every time. The secret is to deal only with them, directly. Sadly it doesn't say much for Lumix gear that I'm so familiar with them, but that's not Techworks' fault - their repairs have been sound. I would love to see this on Panasonic FF camera !!! zavart, you're not alone, but there are problems taking it all the way to square. See my longer answered to your other post. Mariusz, I was also hoping for a bit of multi-aspect (like GH2 for example) and it's still possible that the 16:9 video could be wider than 36mm. But the boundaries on this are limited by the existing mount specs and lens specs. Also, I'm not sure Panasonic wants to confuse potential but skeptical customers, or create a meme for detractors that "It's not really Full-Frame!" - even if the "Not Really" were a super-set that included existing FF. "In M43, we prioritize compactness"
" We have our own Micro Four Thirds system and we think that [because of the greater difference in size between full-frame and M43] this is the best balance. We have no plans to develop APS-C products." Panasonic making M4/3 cameras as big as APS-C cameras they, for sure, do not need to develop APS-C products. Instead, they planned to make big FF MILCs... so that there is a significant size difference between their FF and M4/3 bodies ! Thank you , Pana ! They're well into Leica territory with that kind of prices. Where did you see prices? The internet. 4500 gets mentioned. Sorry, too lazy for a proof link. 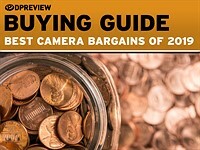 I'd be surprised, if that turns out to be a body only price for either camera. But I guess we'll find out in the next few weeks! Other than this rumored price, it's pretty much my dream camera though. Probably 4000$ with the 24-105mm Kit lens. This comes down to the whole "pro or not pro" thing. Sure, you can buy a FF Sony or Nikon right now for peanuts (less than $1000-$1500) but none of those offerings are professional calibre by any stretch. 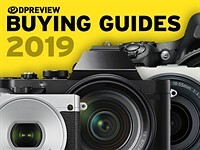 The new Panasonic and new Olympus bodies appear to be pro bodies and as such, compare functionally to much more expensive Nikon or Canon or Sony bodies. I'm impressed. Perhaps he should sort olympus out! "Plus a Fast, and very accurate autofocus, which is a combination of high-speed contrast detection autofocus and DFD technology"
Interested to see how that performs in video mode. I am not really concerned with photo AF, if it's similar to the G9 then it's enough for sports photography, it's video where the challenge comes with hunting. Since I got the Eos R I threw all the focus pulling job to the camera and it genuinely improved my workflow, and in my experience the Z7 & A7RIII are just as good, all reliable for reall work. If this S1 is GH5-like, that'd be a big disappointment for its immense video potential. 4K 60p, V-Log, FF readout, SL class EVF, articulating screen, man that's the mirrorless we've been dying for. How has your experience been with the latest G9 / GH5 firmware? I've seen lots of really good examples lately on YouTube of video AF with essentially zero hunting. It's still pretty bad. I just used an updated GH5 for a commercial last week and found it pretty unusable in a paid gig. Better than before and you could get away with it for family/vacation projects but not for something you show to a client. Thats good point. Z now have hybrid focus, Canon had that unrivaled PDAF. My experience with Panasonic that DFD is better than Nikon DSLR AF but maybe not as fast or reliable as Sony/Canon AF or recent Nikon Z AF. However, maybe the faster processors and FF sensors will greatly improve DFD? @Ebrahim Saadawi. I concur with @Androole. According to feedback we are receiving from customers, the latest GH5 firmware 2.4, autofocus is reliable and fast. Note, that the autofocus settings have some nuances as you move from one system to another. Maybe Jordan can weigh in? 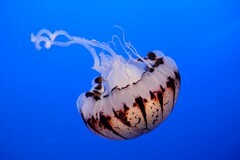 I do, however, like the "look and feel" of the Canon dual pixel CMOS AF for some subjects. It seems to be non-linear in focusing speed which gives a bit of cinematic look to it. I heard some great stuff about Leica SL EVF. Is this EVF better than EOS R? A bit amused they talked about m43 being all about being compact, as my GH5 is more compact-ish (but generally good). (1) DFD is still, on the greater-DoF G9/GH4/5/s, way behind Canon's DPAF for video-AF. How will it go in a shallower-DoF sphere? (2) If Panasonic want to sell me expensive lenses what are they going to do to avoid the high sample variation (and no way to tweak the optics post-production) they have? (I'd like to have a m43 42.5/1.2 but they are all different and I don't know a shop that would let me have 8 and choose the good one). (3) Look like being very expensive. I wish them luck, but suspect I'll be a spectator... (the GH5 is luckily still good). I won't venture to predict how much better, if any, the S1/S1R DFD-AF will be compared to the latest MFT version. But regarding your point (1), FF having shallower DOF at any given f/number, this should be an engineering advantage, not a disadvantage. It increases the sensitivity, i.e. boosts the response of the OOF contrast signal for a given amount of lens de-focus. In control-system language, it increases the gain of the feedback control loop. And regarding shallow-DOF as a traditional AF accuracy challenge, that doesn;'t really apply to CDAF in general. It's already inherently calibrated to the target which is exactly the on-sensor image, so it doesn't have the focus-accuracy challenge of conventional mirror-SLR PDAF. On-sensor PDAF methods, I believe, mainly solve the problem of initial OOF direction (too near or too far) and approximate OOF amount. Same for DFD. I believe that all the mirrorless systems, even with on-sensor PDAF, will achieve final target focus in CDAF mode. 8K AFTER the 2020 Olympics?! Hello, 8K broadcasts and TVs are already on sale in Japan with 8K Olympic broadcasts scheduled. 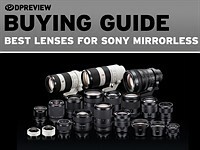 Guess Sony is the last hope - 8K A7iv!! Well if they want to claim durability, they really need to start actually quote a IEC Standard publication 529 splash resistant test in the documentation. Granted, Olympus is only IPX1 (the weakest level) for the E-m1/E-m5 bodies, but the last time I checked, Panasonic did not list any splash resistant claim. "Dripping water (vertically falling drops) shall have no harmful effect. Test duration: 10 minutes, equivalent to 1 mm rainfall per minute." FWIW, I had a Panasonic lens (100-300mm mark II) stop working when I got splashed on a whale watch (lens was attached to a G85, and my E-m1 mark I with Olympus 14-150mm mark II survived). I was able to get it working, but it didn't leave me with a good feeling about Panasonic splash resistance. I still wonder why they choose tilting LCD that they did for a camera that looks more video oriented instead of a more normal fully articulating LCD. The 100-300 is not one of Panasonic’s professional lenses. I wouldn’t expect it to be weather resistant. The mark II is advertised as being weather resistant. * Upgraded support for harsh weather conditions (Splashproof / Dustproof). I'm curious what they will present and how it performs and handles. That L-mount consortium sounds very interesting. Also, if they have a sensor that they did design (like Fuji, Hasselblad and OnePhase design their sensor, but have them manufactured by Sony, based upon a Sony blueprint), they could enter with a bang. Sigma Art L-mount lenses combined with a FF L-mount camera, that probably can do full sensor read-out 4K video, build like a tank and its ergonomic tested with photographers. Almost sounds too good to be true. Is it just me or does anyone else find it funny that no one uses the word 'Lumix' even though it's on the front of their cameras. Panasonic are the only removable-lens stills camera manufacturer that insist that their camera's sub-brand is more important than their company brand. LUMIX more prominent than Panasonic. Every single one of their competitors have their company name showing proudly where Panasonic instead decide to put LUMIX. It has been a terrible marketing decision from the start, in my opinion. They talk about brand recognition of their competitors in the article, yet Panasonic don't even brand their own removable-lens stills cameras with their company logo showing proudly at the front. The Olympus OM-D teaser seems more interesting than another FF MILC. "Everything without compromise" does not bode well for affordability. 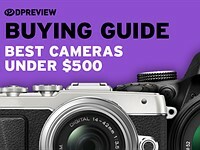 Their not targeting both of these cameras to be affordable, they have flatly stated they are targeting the High End Pro Market, when is that ever affordable? "They’re specialized for professionals. That is a core target for us" Okay, that's good, except then... "but we’re also targeting high-end amateurs and enthusiasts." That means Non-Pros with money! They are apparently not going to compete on price or compactness. I assume this is the advice they got from Leica. Whatever, it's good that they seek and take advice rather than keep everything under wraps and and later discover the ergonomics are bad or it needs a few more card slots. It looks like Panasonic is going to start at another level than Canikon in Full Frame. Starting as a new FF player, they could've made the proportions of the full frame sensor even better (ideal format) 4/3, like their present system instead of the rather old 35 mm film based format 3/2, getting a bigger sensor than the competitors. This could've been made without changing lens or bayonet design and size. I agree that 4/3 would be desirable in many ways, as well as differentiating them in the market, but I suspect they will be constrained to what sensors are already available. The other problem is that you couldn't really call it 'full frame', due to the different proportions, even though it might have the exact same surface area. This immediately causes problems with the perception of the camera in the market. I will go FF in the next future so I've been following the latest FF mirrorless releases from Canon and the likes , and now this one : I fully agree that mirrorless does not equate compactness , and this cam looks serious enough , well built and reassuring . However Panasonic sticks to CDAF - DFD revisited , so I suppose that rules out AF'ing third party lenses with adapters , not like Sony . All this talk about the " pro " clientele leaves me cold, I can't see why a working pro would switch to this new mount , unless of course a significant gain in one area or the other..nah , this cam is for " enthusiasts " , the well-off kind, and guys who are already fans of Pana . Or maybe " durability " means the cam will be able to withstand the 5-6 years necessary to be recognized as a viable alternative ? 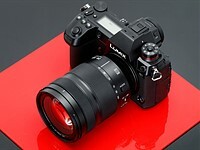 Now I really wish Panasonic success, they make great m4/3 bodies and lenses , with well thought out ergonomics and features ( not like you Oly ..) . Extremely high standards for ergonomics, build quality, durability, I/O, image quality, video quality, and video features would be the primary differentiators for Panasonic here. Arguably there are no "pro" mirrorless cameras on the market yet, in that they all have liabilities in one or more of the above categories. Sony, for instance, has exceptional sensors and electronics, but simply can't seem to make properly robust weather-sealed bodies with ergonomics that correspond to the large, heavy GM lenses they are selling. "Now I really wish Panasonic success, they make great m4/3 bodies and lenses , with well thought out ergonomics and features ( not like you Oly ..) ." With the arrival of some much-needed sunshine and final production firmware for the Panasonic S1, we've been able to get outside and really start putting the camera through its paces. Now that our Panasonic Lumix S1R has final firmware, we couldn't wait to get out shooting with it - and we also tried the high-res mode, which combines files to get 187 megapixel images. Because sometimes, 47 megapixels just isn't enough.